 YICCA is an international call for artists, open to professionals and not only from any country in the world. All kinds of contemporary artworks are allowed in the art contest: drawings, paintings, sculptures, photographs, graphics, mix media, video, installations and performances. The competition's aim is to promote the enrolled artist, giving them chance to join the international market of contemporary art. Internationality and networking make this art call a huge chance for the artists, which can win a cash prize and have the opportunity to exhibit the submitted works in an art gallery of a European city. Jury's final decision will lead to a selection of 18 artists that will participate in the final exhibition. Discover the Yicca network. In the following sections you can find a preview of dedicated websites. 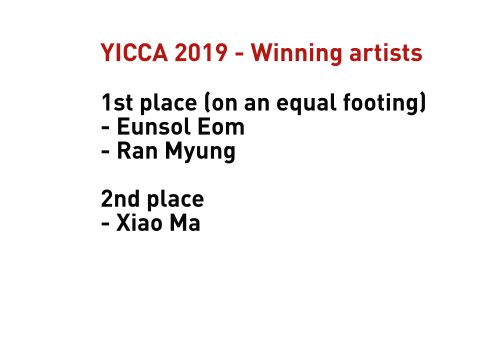 'Yicca Contest': all the details on current and previous competition. 'Yicca Art News': the most interesting art news around the world. 'Yicca Shop': the store where you can open your own space and put up for sale your works for free and without commissions. 'Yicca Project': the annual curatorial project and its program of exhibitions dedicated to professionals. Call for contributors. Dedicated to galleries, art spaces and curators. Take a look at the current possibilities. Professionals artists. The submissions are open. Find out how to apply in order to grow up your art career. YICCA project. Exhibitions and curatorial services. Useful tool to manage your annual art program.